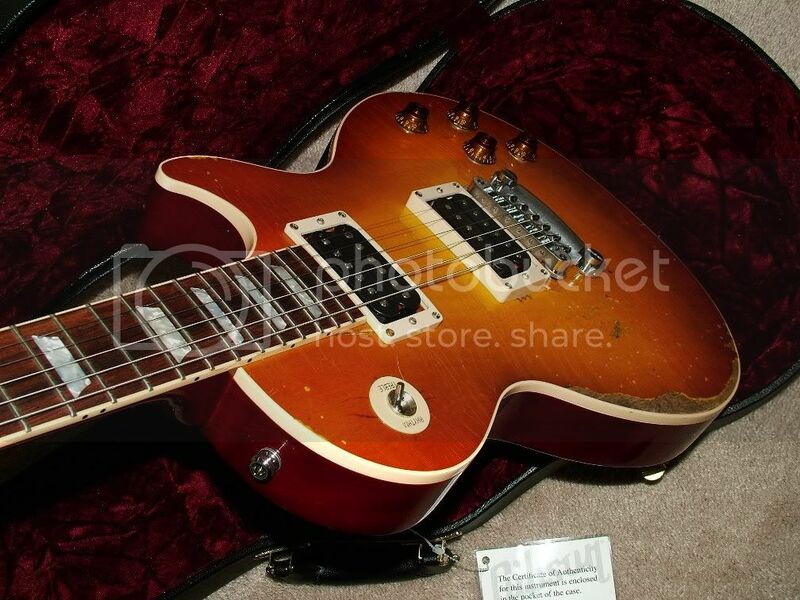 Only 100 were produced (this is #86) and they look exactly like the one Slash used for the tour that set Guns n' Roses on the map of Rock n' Roll. Completely battered out, with more scars, dings, cigarette burns and buckle rash than an 80's GnR groupie. I own a similar VOS model and it rocks your socks and your next door neighbor's socks off. Heavy stuff. Shoot vodka bottoms up, hit a loud A chord and have your eyes pop out.